Love how you sponged your layers! So cute! Gorgeous how you did the soft coloring of the clouds! beautiful card! So cute!!! 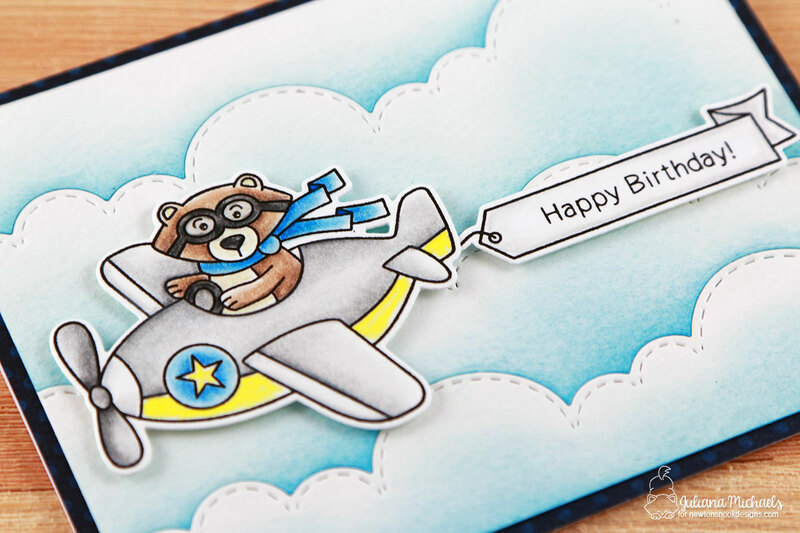 I love that little guy in his airplane! The clouds came out beautifully. Adorable card. Love the shadowing above the clouds! Love the stamp/die set. Very adorable! Great little boys card! Gorgeous coloring, and "inking"...and just wonderful how your showed your technique, thank you! Awesome sky background and fun little tutorial on how you made it. 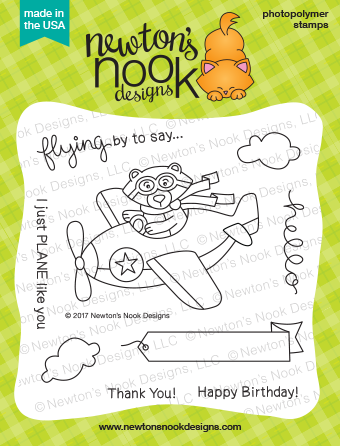 Great coloring on Winston and his plane too! Ohhh!!! Absolutely cute!!! Love your funny card and the tep by step of your useful tutorial!!! Thanks for sharing!!! What a fun way to make a soaring sky. This is an adorable card. 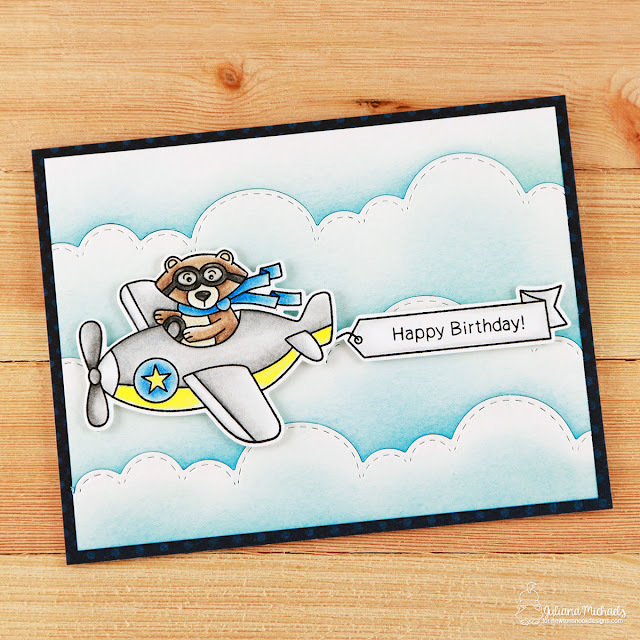 Wow, I love this stampset, with this little cute animal in the plane!! Really funny card!! And I love your beautiful sky!! So cute! Thanks for explanation on distressed dies, love the look. Beautiful, soft card! The clouds are colored amazing, thanks for sorting how you did them. Winston in the plane is adorable. I have several cousins who are pilots, so I just might have to get him! 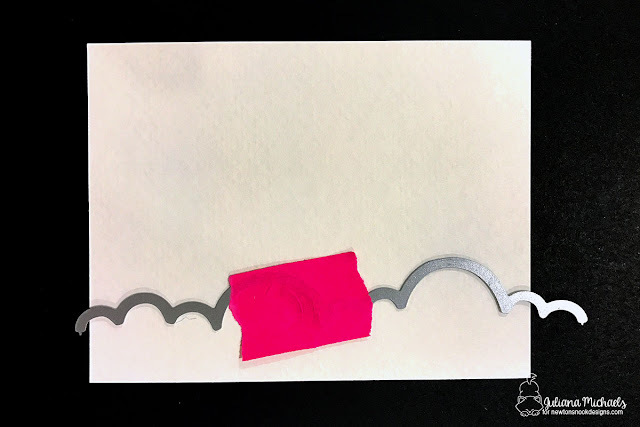 Super fun card, thanks for sharing the detailed step by step too! 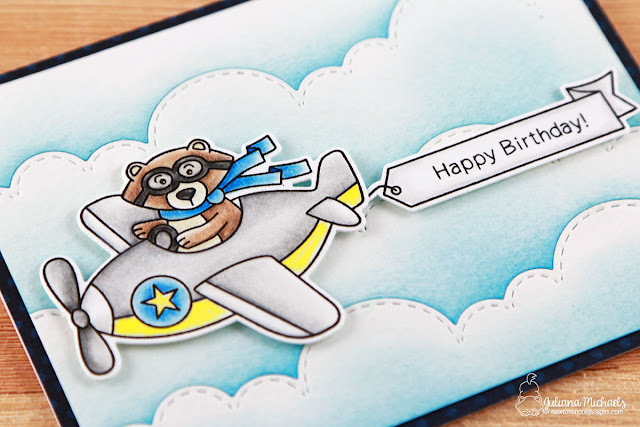 super cute card :) thanks for sharing the tutorial. great job on the background! Thanks for the how to! Winston looks great! Oh Juliana, this is precious. Love those cloud dies and how the plane really stands out on this! That sky is amazing! 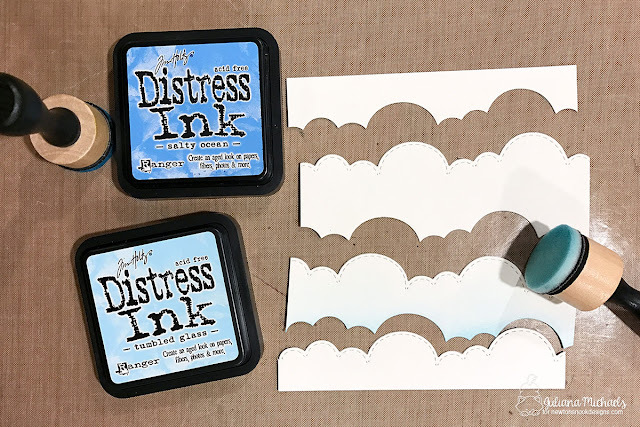 I love that stamp set and the cloud dies. Very cute and thanks for sharing how you made the clouds. Beautiful card, love how you colored the clouds. Everything is colored so beautifully!! 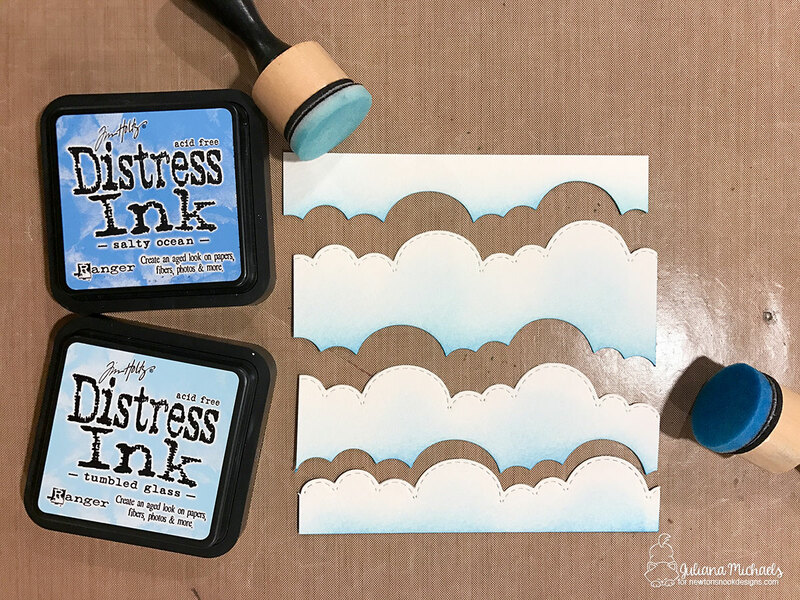 I saw your card on FB or IG, can't remember and wondered how you made those amazing clouds! Thanks for sharing how to do it! Soooo cute! 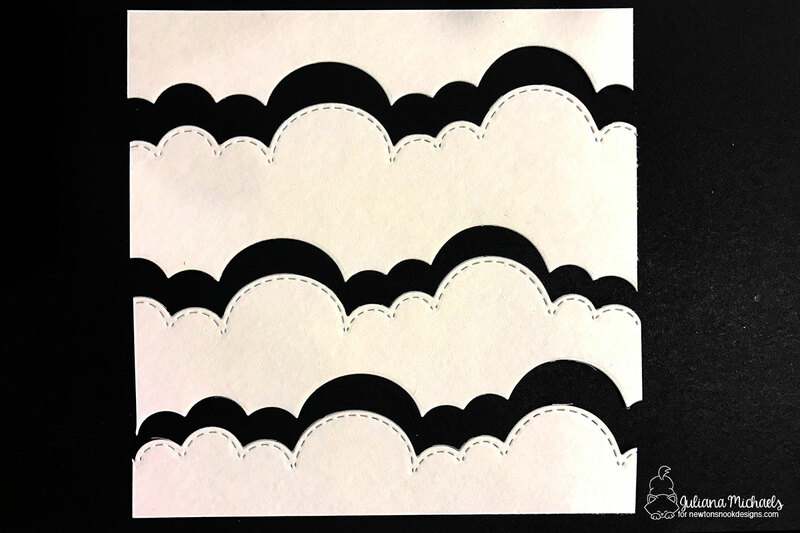 Very cute card...thanks for showing us how you inked the clouds. What a cute card! I love what you did with the clouds. So cool! Thanks for sharing how you created the sky! What a fun technique! It's the perfect backdrop for Winston! The card turned out so adorable! Your card is wonderful! Thank you for the awesome tutorial! So cute!! I love how you sponged your clouds and colored Winston!!! This is great inspiration!!! I just love how you did the background of this card. Just beautiful.